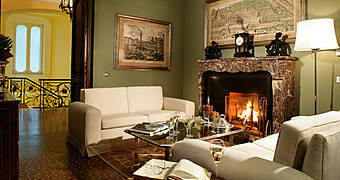 Hotel Villa Spalletti Trivelli offers the ultimate in aristocratic luxury, right in the heart of Rome. 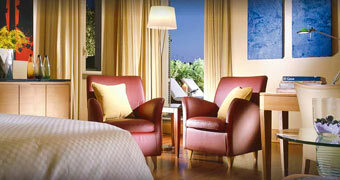 Contemporary hotel Capo d'Africa, near the Coliseum, in the center of Rome. 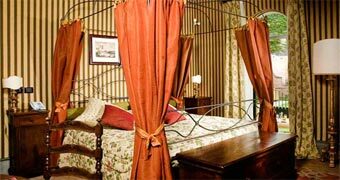 In the heart of the historic center of Rome, an elegant 15th century edifice transformed into a beautiful boutique hotel, within steps of the Roman Forum. 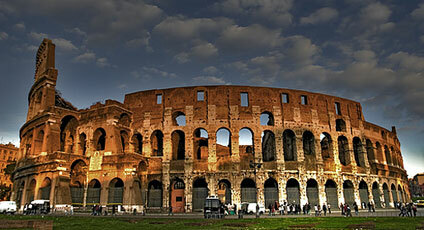 The Coliseum, the Forum, the Domus Aurea and the Circus Maximus: the splendors of Ancient Rome. 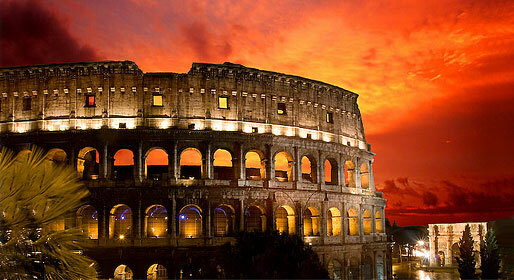 The Anfiteatro Flavio, known throughout the world, the Coliseum is symbolic of the city of Rome. It is 50 meters high, 86 meters long and 54 meters wide, distributed on a structure of elliptic form. It was built under the rule of the Emperor Vespasiano on an artificial lake in 79 A.D. The Coliseum was inaugurated by Tito and became the theatre of frighteningly cruel games, in which gladiators fought each other and lions were let loose on human beings who were destined to be mauled to death. In the lower part of the Coliseum one can see the underground passages and the tunnels where the lions were kept. The Coliseum was later used as a source of materials for building works. Near to the Coliseum one finds Costantino's Arch which has to be the best example of the "recycling" carried out during the crisis of the Massenzio Empire in 312 A.D. The Domus Area, once the residential quarters of Nerone which were built after the terrible fire of 64 A.D., is close by in the Colle Oppio Park.